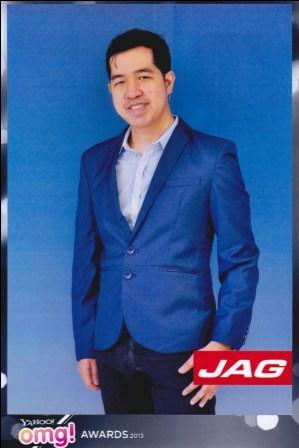 During the awards night of the 2013 Yahoo OMG Awards, we had a pictorial for the international clothing brand JAG. It's a Blue Day for JAG as my outfit on the night and as the theme of the apparel were on shades of blue! Rocky and Lally: The Lover and the Wife Meet! Elmo Magallona and Rocky Reunited! A Glamor Night with Marian Rivera! July 2013: "Spending Nights with the Stars"